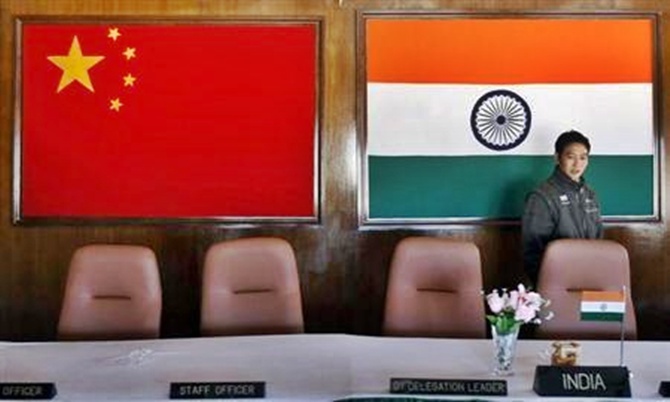 Rediff.com » Business » How serious is China about investing in India? How serious is China about investing in India? It is a paradox that China, having almost run out of highways to build at home, is taking on this Sisyphean burden abroad, just when many financial analysts are worrying that the country’s binge on infrastructure and housing since the financial crisis in 2008 is placing an intolerable strain on the economy. A couple of years ago, a satire of People magazine’s annual “Sexiest Man Alive” issue was splashed across the website of China’s leading newspaper, People’s Daily. Any country with a free press would have spotted the story for the hoax it was. The Onion, the irreverent United States publication, had put, of all people, Kim Jong-un, the pudgy North Korean leader on the top of its list. There was a whiff of such extreme gullibility in the briefings emanating from Chinese diplomats ahead of President Xi Jinping’s arrival in India. Except this time, the Chinese state machinery think we can be similarly fooled. Does anyone who can count really believe that the Chinese are going to invest $100 billion over the next five years in special economic zones and in building power plants, highways and bridges in India? At the end of 2013, the cumulative total of all inbound foreign direct investment into India according to United Nations data was $227 billion, Anil Gupta and Haiyan Wang point out in a blog for the Financial Times. Another sobering number is that the total Chinese investment in India in the past 10 years amounts to $400 million. What is on display here is a bit of theatrical one-upmanship directed at the Japanese who said they would invest $35 billion in India. It would be strategic as well as polite for the Indian government to take the Chinese at their word, however, and entice them to invest every billion we can get out of them. Given the recurrent problems with our state electricity boards that charge well short of what power costs to produce and our many private-public partnerships in highways that have gone bust, perhaps only the Chinese could make money in such businesses. They certainly have the right experience having built roads in places such as Sri Lanka and Africa. Then again, if the Chinese state-run companies’ businesses here fail (as is more likely), they will not be able to take the roads with them. We will have scored an important commercial victory over a much bigger rival. Dealing with the xenophobia towards foreign investors displayed by sections of our bureaucracy would give Mr Xi’s nationalist government a taste of its own medicine. Over the past several months, anti-trust investigations have made life difficult for foreign companies, including Microsoft — whose software is widely pirated in that country anyway. Pity also Daimler-Benz, who must think communism has come to a sorry pass when China’s plutocrats argue that Mercedes are too richly priced. The contest between our bureaucrats and their mandarins promises to be special. It is a paradox that China, having almost run out of highways to build at home, is taking on this Sisyphean burden abroad, just when many financial analysts are worrying that the country’s binge on infrastructure and housing since the financial crisis in 2008 is placing an intolerable strain on the economy. Slowing Chinese growth is spooking stock markets and contributing to weak oil prices. In a recent report, Fitch observes that China’s investment rate since the 2008 crisis is stuck at a very high figure of about 48 per cent, compared with about 41 per cent between 2002 and 2008. While investment then was necessary, since Lehman went bust it has been disproportionately directed at residential housing, which explains why tower blocks of empty flats have become almost as ubiquitous in Chinese cities as traffic lights. 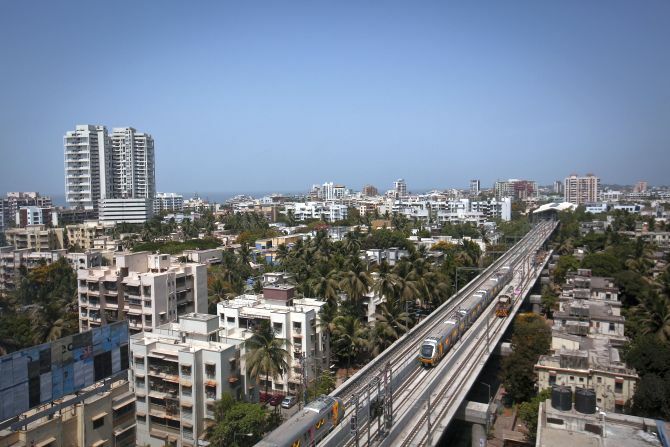 “While GDP expanded by 81 per cent in 2008-13, construction and real estate … more than doubled,” said Fitch. When Mr Xi became president in March 2013, he was seen as a bold reformer. The economy’s addiction to investment despite the rising risks it imposes on banks suggests he has failed thus far. The belief that he might be a political reformer seemed to rest entirely on the fact that his father, Xi Zhongxun, was a liberal who led the economic reforms in Guangdong, and had suffered during the Cultural Revolution. Mr Xi seemed a 21st century kind of leader with a popular folk singer for a wife. Mr Xi duly made remarks about respecting the Constitution and reforming the rubber-stamp judiciary, but such rhetoric seems particularly cynical as his government has jailed many heroic lawyers such as Xu Zhiyong. The punishment meted out to Liu Xia, the wife of 2010 Nobel Peace Prize winner Liu Xiaobo, has been vicious, even by the standards of a dictatorship. Mr Liu was sentenced to more than a decade in jail because he pleaded for democracy in articles on the internet. His wife has been kept in near solitary confinement for the “crime” of being married to him. It is this state-sponsored thuggishness at home that translates into an ugly image abroad. Beijing’s long-game diplomacy praised by Henry Kissinger amounts to little more than hyper-nationalism and bullying neighbours such as the Philippines and Vietnam. Chinese nomads have continued to cross the border over the past several days with impunity ahead of the two leaders’ meetings. After yet another border dispute between China and India a couple of years ago, the retired diplomat T P Sreenivasan wrote in The Indian Express, “The Chinese reputation for inscrutability is [China’s] greatest blessing. A bewildered world, including India, spends more time deciphering its motives and intentions rather than responding to them.” We must take full advantage of China’s expertise in building infrastructure and accept their soft loans while realising that even more than the usual caveats apply. When push comes to shove, the United States and Japan will be steadfast friends. It will likely be China doing the shoving. 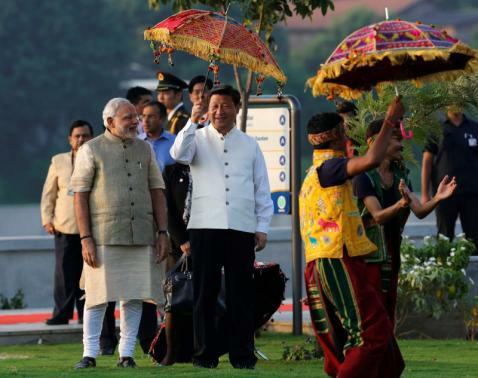 What goodies will Xi Jinping get for India?